A federal district court has directed United States based baker, Jack Phillips to proceed with a lawsuit against the State of Colorado over its hostility towards him and his Christian beliefs. Phillips, owner of Masterpiece cake shop who had famously won a Supreme Court case not to make a gay wedding cake, vowed to fight another attempt to force him bake what conflicts his beliefs. According to Alliance Defending Freedom (ADF), the group supporting Phillips, the baker was targeted by an attorney who asked him to create a cake designed pink on the inside and blue on the outside. The proposed design is meant to celebrate gender transition from male to female. Philips declined once again, stating that the cake would express a message that conflicts with his religious beliefs. Despite his Supreme Court victory, the State of Colorado ruled that there was “probable cause” to believe he was legally obligated to make the cake. 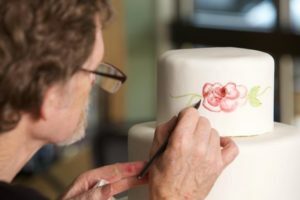 The high court ruled that Colorado cannot treat Phillips differently than other cake artists who decline custom projects based on the messages they convey. “The same agency that the Supreme Court rebuked as hostile to Jack Phillips has remained committed to treating him unequally and forcing him to express messages that violate his religious beliefs,” ADF Senior Counsel Jim Campbell said. According to ADF, the attorney who requested the gender-transition cake later asked Phillips to design a cake with satanic themes and images, a request that Phillips also declined for faith-related reasons. Philips had over the years declined creating cakes with various messages that violate his faith, including messages that demean LGBT people, express racism, celebrate Halloween, promote marijuana use, and celebrate or support Satan. ADF is also arguing that the State is infringing on Phillips’s free speech and due process rights, and that the commission’s adjudicative process is flawed because the same commissioners act as both accusers and adjudicators in the same case, an arrangement that the Supreme Court condemned in a 2016 decision. This entry was posted in Belief, Christianity, Faith, News. Bookmark the permalink.